There's been some talk, both on CurlingZone forums and with the SportsNet announcing crew, of Team McEwen having an off season. Certainly a surprise to see them miss the play-offs in two consecutive Slams (the National and now Canadian Open), but if they had won this game the past month would have been a success. The McEwen squad have won 3 events this year, including a Slam, and if you heard us on the Around The House podcast a few weeks ago, we discussed that Mike has been distracted more than most by the broom controversy. Not by the impact of reversed heads without inserts (though some want to point to this as the cause of their recent slide), but as a dealer for Hardline, Mike derives his personal income from the IcePad broom business. Likely it's been difficult to remain focused while dealing with the on and off ice impact of what's transpired this season. Also, is the McEwen rink slipping or have other teams raised their game over last year? Not much seperating the top 4 teams in Canada right now (McEwen, Jacobs, Gushue and Koe) and the next few teams are very close to that level. Koe gets the key deuce in the 5th end because BJ Neufeld's hit rolls 6 inches too far. Looking back, that might have been the difference in the entire match. Reminds us that when this game is played well, it can all be decided on a tiny mistake. One little rub, a small extra roll or a draw that comes up an inch short. Kevin's first shot in the 6th end avoided those mishaps. Up two, he plays a soft weight hit that removed a 2/3rds burried stone and left them sitting two. He considered a draw or runback as well but third Mark Kennedy tells him he can make it with "easy hack" (isn't hack already easy?). Some directional sweeping with a hair broom by Brent Lang, I wonder how much of a difference it made as they just avoid the jam at the back. Depsite the great shot, Mike was still left with a corner guard and a chance for a skips deuce, but he came light and ultimately was forced to one. ...but I don't like the call. Perhaps a situation where they were focused on the force or they just liked the look of the rocks, but it's too early in the end and too late in the game. At this late stage and only 3 ends remaining, the objective is to steal with the secondary outcome a force. Often it feels like a steal is unlikely, but by coming into the rings this early they are greatly decreasing their chances. They end up guarding on BJ's next shot, in a less favorable position, without the catcher at the back four foot. The end result is a force, a welcome result, but I believe they could have improved their chance at a steal (and their odds of winning) with a guard on his first. A close game where a few shots made the difference and Team Koe was just a little bit better on this day. Demonstrates how important a two point lead can be in that "old" 4 rock free guard zone game. The Committee discussed the WCF Proposals of Free Guard Zone andTime Outs, we agreed to continue with only one time out and agreed thatmuch further testing is required before we can agree to any proposal on a5 rock rule for the free guard zone." Much further testing? The 5 rock rule was introduced 4 years ago, is in its second full season on the Tour and is clearly a better version of the game. What type of "testing" do they plan to do? If they can complete broom testing over a couple of weeks, then this should be wrapped up in an afternoon. I could not find the WCF proposal mentioned and it's unclear to me how the 5 rock rule would be approved (does the WCF take direction from Scotland? ), but I certainly hope it happens soon. One of those games that could haunt Sweeting for a while. I rewatched with my friend and occaisional ATH podcast guest Mark Klinck. His wife kept saying every other end "how does Val lose this game?". Not much concern Team Sweeting won't be at the Trials in 2017, but when you fail to close the door on a win against the hottest team in the world, it might sting a little. The early deuce by Homan is the result of Val missing a 3 foot runback. Uncharacteristic, though Russ called it before she threw it. He mentions her left handed inturn will curl more than Rachel's out turn and needs more ice. In the third end, I don't understand why Rachel tries a draw to the back (green line) when it appeared she could have played a hit and roll (blue line), eliminated the chance at three, and gotten the same (or better) result. Perhaps she was uncertain of the ice, but I prefer the hit and roll with a two point lead in this situation. In fact, the chance to steal is more likely with the hit and roll. By drawing to the back eight foot, Rachel leaves Val a draw for one or possibly soft tap for two (or even three). If Rachel draws to the top four foot, Val will have an option to runback a double for two points. If Homan hits and rolls, Sweeting will have no choice but to attempt a tough draw for her single. Ultimately, Rachel is light, and Sweeting scores three. In the 7th end, Sweeting third Lori Olson-Johns hits and rolls out, eliminating a possible deuce (though Homan still had several chances at a double). The next mistake is a nose hit on Val's last shot, when she is attempting to roll out for a blank. Two point lead rather than 1 up with hammer. Interesting that Win Expectancy is the same in both cases, 80% for up two without or 1 up with hammer. In this case, I think one less end with Rachel having hammer would be preferred. In the 8th end, Sweeting is sitting three, with two at the top tweleve side by each and one behind in the back eight foot. With second's last shot she could peel the corner guard (my preference), but chooses to try a tap-back, and creates a staggered guard. Lori appears to get them out of the end with a raise double, leaving Sweeting sitting four. Homan third Emma Miskew then makes a great freeze on her last. Val tries to blast it out on her first but leaves the Homan stone second shot. I think the soft weight hit to sit in front, frozen on top for shot, may have been the better play. Even if Val makes the peel, Rachel has a chance to draw into the four foot, around two staggered rocks, and get her deuce. Now, Rachel could chose a hit and roll (blue line) but changes her mind and elects to freeze (green line). It appears she's taking on more risk than is required to get the same result (a deuce). Rachel makes a great shot and Val has to hit third shot at the back four foot. If she hits it dead on, or rolls in slightly, Rachel would have no shot for two. But, as I said earlier, this game changes on fractions of inches, and her slight roll to the outside leaves Rachel a shot for two, which she makes. The hit is the better call, but interesting that if Rachel had corner frozen instead of freeze on the nose, Sweeting likely blasts them out (she can't risk leaving the in-off for three) and Rachel gets her deuce without any risk. The perfect freeze was actually less of a perfect shot. In the 9th end, big mistake by rolling out with Val's first shot. I like her choice of trying an angle raise for two on her last, rather than draw for one (did you scorekeepers at home add it to her Risk Factor? ), but if her first had stuck around the shot is much easier for two as she doesn't need to stick the promoted stone. in the 10th end, Sweeting attempts an open freeze on Homan's shot stone sitting back button, rather than a hit and roll. Yes, the roll would have dropped behind the tee, but a better chance at a deuce with that call. Homan is left with a draw to the four foot in the extra end and makes it for the (what at times seemed unlikely) win and spot in the 2017 Olympic Trials. Time for a New Statistic? Curling could use a new statistic and I've come up with an idea. It's been mulling in my mind about a year and I'm finally putting fingers to keyboard. Skips have a risk factor. The name is still a work in progress, but lets call it that for now. SRF, skip-risk-factor. I'm going to attempt to lay out a method for this new stat. However, it comes with a significant problem. 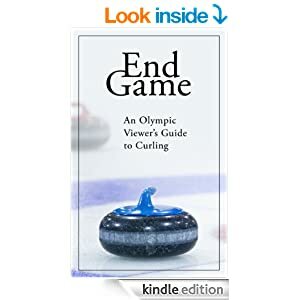 The CCA Curling Canada, SportsNet, WCF and other governing bodies that keep statistics will need to incorporate this into their record keeping. Not an easy task, as I'll soon explain. I've been tempted to go back and watch every game since 4 rock Free Guard Zone in Canada began. I even started recording and saving to games from my PVR last year (and this year) to my PC. I highly recommend the Hauppauge, even if I can't pronounce it. As I slowly collect a small horde of video, I could have my kids take on the task one day for me. But that likely won't happen. And then there are the many other games that aren't captured on TV. So this article might outline a great idea that will never amount to anything. But in spite of this hurdle, I'm going to present my case for SRF. At the very least, teams may want to keep track of this on their own to see how often they are faced with these decisions, what amount of risk they take, the impact and the eventual outcome. Recorded in percentage. Divide the total number of times a skip has an option on his/her final shot to take a risky option (to score 2 or more) rather than a simple draw or hit (for 1) at risk of the opponent stealing 1 or more points by the number of times they chose the risky option. For example. A skip has an option to draw for 1 or try a double for 2 points, at risk of giving up a steal. If a skip attempts the shot for 2, it counts as a risk attempt towards their risk factor. A skip with a .50 or 50% SRA would be one who choses to attempt the riskier shot half the time. Only counting instances when the skip chose a risky option, what is the percentage of time they are succesful? From our previous example, a skip with a .50 SRA might have an SRO of .75. Meaning that when they attempt a riskier shot, they are successful 3 out of every 4 attempts. So what is the Skip Risk Factor or SRF? By using Win Expectancy (WE) charts, we can see what impact the result of a risky decision will have on a teams chances at victory. From our example, let's suggest the team deciding on the double attempt is down 1 and this is the final shot of the 5th end in an 8 end game. That leaves 3 ends remaining following the outcome of this end. If they take 1, their WE = .35. If they take 2 WE = .61 and if there is a steal WE = .19. The baseline is the draw for 1. If they choose to attempt the draw for 1 then their SRF = 0, even if they miss. If they attempt the double and make, their SRF = .26, the difference between making the double for 2 and taking 1. If they miss, the result becomes an SRF = -.16. The cumulative SRF becomes the addition of the result of all of these shots. Between SRA, SRO and SRF, we can then see a pattern for the amount of risk a skip takes and how those results are impacting the team's chances of winning. We could also create an average of SRF (SRFa) by dividing this total by the number of times the skip chooses to be risky. It seems to me these key decision points during games are critical to the outcome of games and could be interesting to examine. Another idea could be to incorporate points available and generate an average point scored in these situations (SRP?). From our example, the skip had a shot for 2. If you add up all of these decisions and incorporate what the succesful risky shot result was (2, 3, 4, etc) subtract the results of the misses (steal of 1, 2, etc) and then divide by the total number of key decisions, you would see what the average score return was to their team. A skip that is in the negative might want to look at changing their future decisions, or stepping down a position. As always, any and all comments welcome. This stat will ultimately depend on the ability to train score keepers to recognize a clear key decision moment in a game and then properly record the likely outcomes (take 2, 3 steal 1, etc). Not all situations are equal and some shots have multiple possibilities. Often a shot at 2 can still result in a score of 1. But it would be interesting to track these situations.